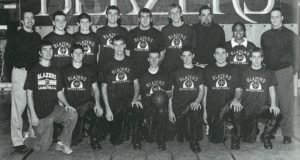 2003 Boys Basketball Section 3 Championship Team to be recognized. The 2003 Boys Basketball Section 3 Championship Team will be recognized during the February 2 games. The team will be introduced during halftime followed by a light reception after the game.